Berlin Business Tower offers the perfect commercial base in the exclusive Dubailand area. 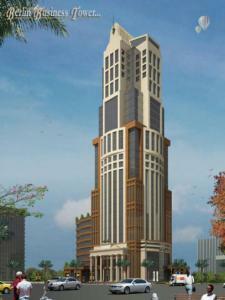 Berlin Business Tower has been designed to address all business needs as well as provide all scope for leisure. Strategically placed, it has neared 80% of completion. Promising to offer a superior business ambience, Berlin Business Tower will enable you to remain ahead in your business targets. It’s located near the metro. Berlin business Tower also provides a number of amenities from a fully-equipped gym, swimming pool, spas to shopping and dining facilities. Berlin Business Tower has been designed to have state-of-the-art facilities, excellent finishes and outstanding interiors. Panoramic views, Hi-design landscape and professionally maintained surroundings, Business centre, Underground parking, Banking facilities, Hi-tech gym for both men and women, Car parking, Shopping centre, Coffee shop & Restaurants, High-speed elevators.